In recent months, US authorities have unrolled miles of razor wire along the border with Mexico as part of efforts to “harden” the frontier and deter migrants from entering America illegally. But thieves in the city of Tijuana have made a mockery of Donald Trump’s attempts at beefing up border security by stealing the razor wire and reselling it to local residents in Mexico. Residents of barrios abutting the border told XETW 12 television in Tijuana that entrepreneurial individuals have offered to sell them the stolen concertina wire and install it for just 40 pesos per home – barely $2. Fifteen people have been arrested for stealing concertina wire, according to XETW 12, but none were held for long. The wire they offered to locals matches what was installed on the border and is not sold in Mexican hardware stores, according to local media. One resident, identified as Verónica, told El Sol de Tijuana newspaper that the man selling the wire was clearly not from Mexico. “It was an American punk: blue eyes, blond hair. He didn’t speak Spanish very well,” she said. She said the man had pushed a shopping cart full of concertina wire through the streets of her neighbourhood, offering it to local homeowners. “If we’d known it was from the wall, one wouldn’t have bought anything,” she said. Breaking news alert: Thieves Steal Things! I believe razor wire is stainless steel. Should bring a good price. The costs of maintaining active-duty and National Guard troops on the southern border have risen to $235 million to date, a Pentagon official said Tuesday. He projected that the costs for maintaining National Guard troops on the border from last April through fiscal 2019, ending Sept. 30, would total about $550 million. 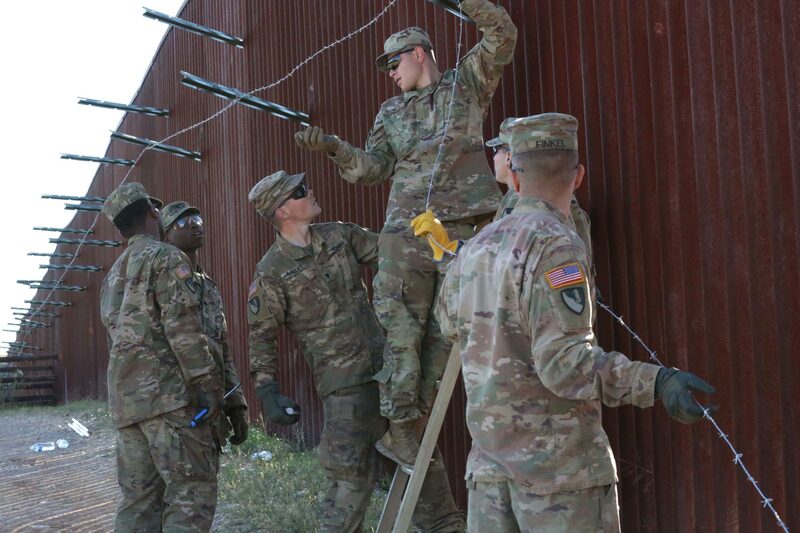 The costs of maintaining active-duty and National Guard troops on the border have risen to at least $235 million. If it gets tham out of Syria and Aholestan, money well spent.